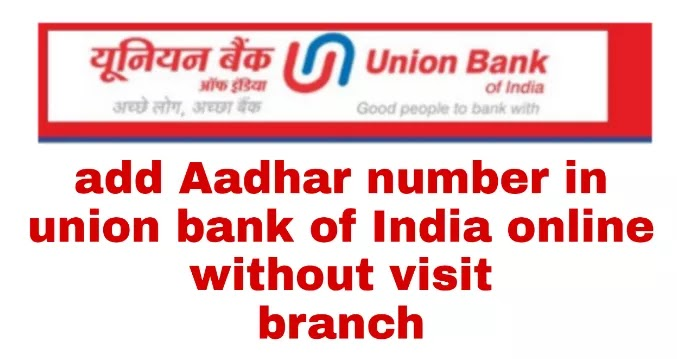 add aadhar number in union bank of india account online without visit the branch. 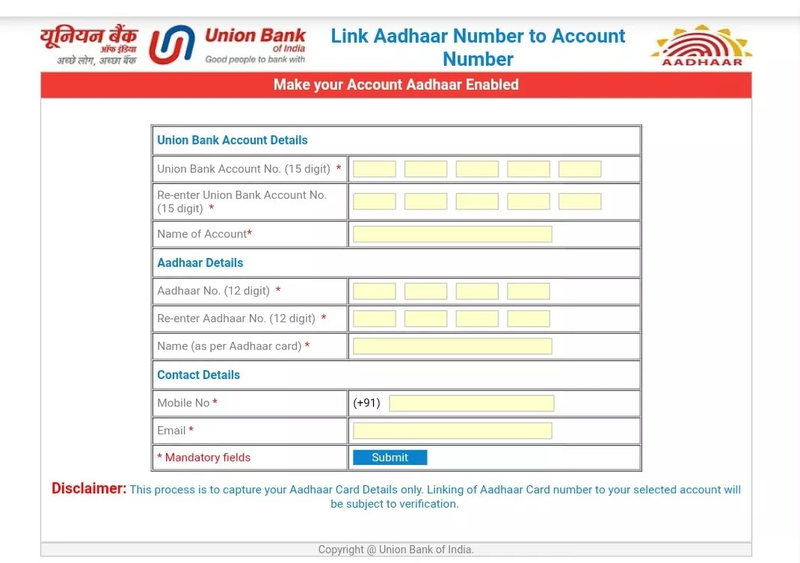 > to get benefit of AEPS aeps is aadhar enabled payment system ,by that service you can make transactions at banking point and aeps banking point or emitra . > visit that link with a compatible internet browser on pc/laptop/smartphone . > Your union bank account number and Aadhar submitted successfully ,will show after done. thats done all i hope you like that article please share this article with friends.